Waterfall Info: Coming from Old Highway 441, this is the third and largest waterfall along the Panther Creek Falls Trail. It's also the primary focal point of the trail. Access Info: This waterfall is directly along the Panther Creek Falls Trail about 3.6 miles from Old Highway 441. 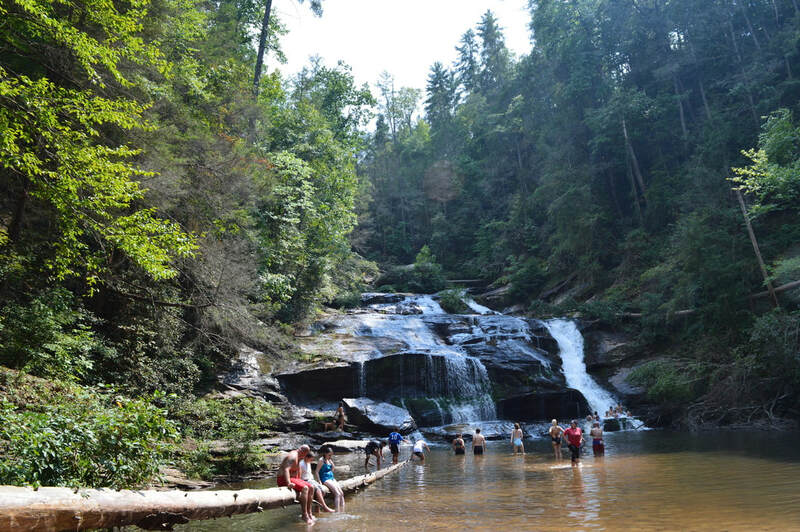 An alternate way to access Panther Creek Falls is from Yonah Dam Road. That side of the Panther Creek Falls Trail is shorter (2.8 miles one way) but much more difficult.